← …too afraid of his family…. I ran into a roadblock to ministry leadership in the church mid way through my second year of seminary. I had posed a “wondering” question to a professor. I hadn’t been invited to wonder with this professor, but I had posed it anyway trusting that we were on the same page, theologically speaking. The response? I was not to wonder about such things, essentially, reminded that I was in the scholarly season of my journey. The questions and answers in the class at that time were not of the wondering sort, but of the empirical and critical sort. The professor’s response led me to question my vocation. I left seminary in order to wonder about that. The season that followed found me on my own, wondering via theological reflection by writing this blog, which follows the Daily Common Lectionary. It was (and is) a safe place to ask tough questions that emerged out of Scripture. A place where I was free to read God’s Word and wonder and where God’s Word would read me. But for a long season, theological reflection on this blog was a one-way kind of wondering. I missed the dialogue that comes from being part of a community where I would have the chance to hear other people’s wondering questions. My baptism, like yours, was into the body of Christ – the church – a community. Before too long I found myself in Pastoral Ministry as a Chaplain Intern at a large hospital. It was there, in Pastoral Ministry, where I began to trust myself to ask wondering questions out-loud. I joined a local Episcopal church on Sundays and with them and with my fellow Chaplains and with all the patients, staff, families, and friends encountered, I dared to ask, eager to listen. And I was blessed with every question that came my way from one of them. We need a safe community to ask wondering questions it seems to me, where the empirical questions are answered and the wondering questions invited for more wondering. And your worshiping community should be the safest place of all. But not all of them, are. Nicodemus brought Jesus a pretty tough question – a pretty big wondering question. How is it possible to be born again and what in the world would it have to do with salvation? It took some courage on his part, I think, to bring Jesus such a question. But the kind of courage that is fueled by trust – a confidence and trust that the one to whom he was wondering with would not condemn, nor judge. It was a safe place. It’s always a safe place to wonder with Jesus. And the biggest, toughest questions are there illuminated by his light. 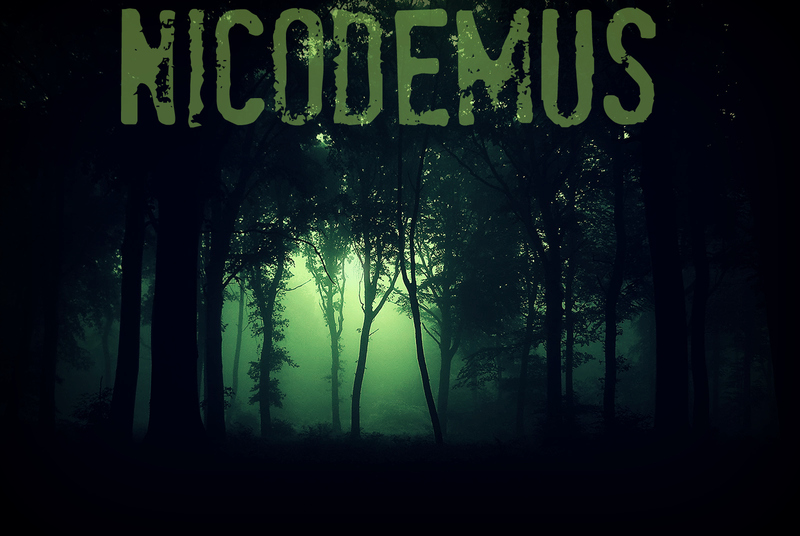 Jesus gives Nicodemus a pretty long answer to his wondering question – takes him through a lot of trees. Jesus shines light on our wondering questions. We can see the forest through the trees. Is this your experience with Jesus in your worship community? If Jesus is at the center of it, then you are in a safe place to wonder in two kinds: wonder as doubt and question and incredulity and befuddlement – like Nicodemus and; to wonder as awe – the sheer awe, respect and love of our God. This entry was posted in Whispers and tagged church, Gospel, journey, lectionary readings, ministry, scripture, theology, WORD, worship. Bookmark the permalink.